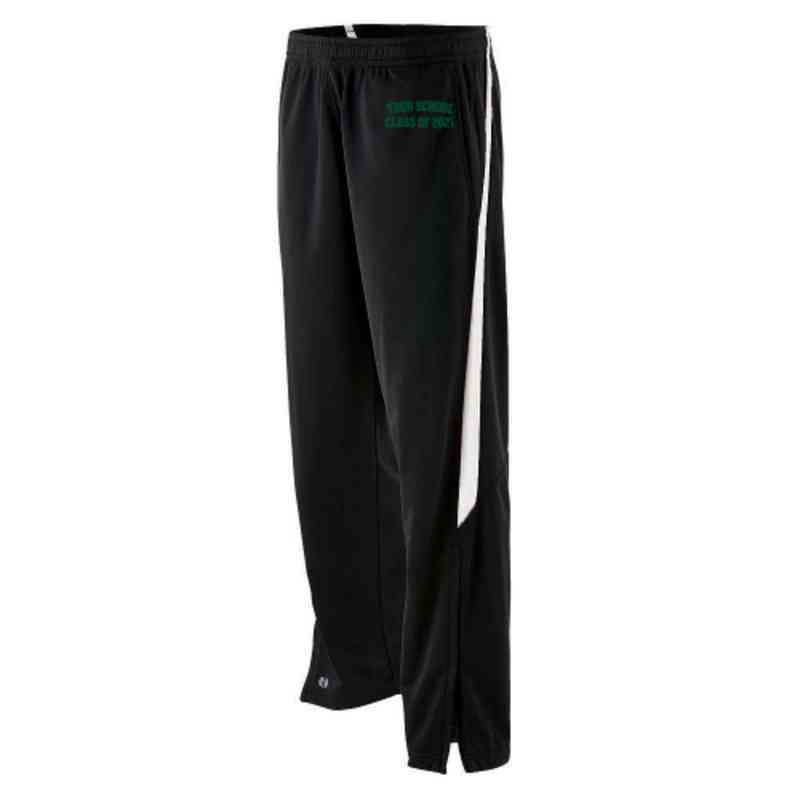 A sporty, comfortable embroidered warmup pant from Holloway. Popular for teams but great for working out, or just lounging around. These athletic pants are made from the new Agil-Knit material. The 100 percent polyester brushed tricot has a peached finish, and offers comfortable warmth for your warm up session. Side pockets give you room to carry daily essentials, and the elasticized drawstring waist ensures a secure fit. As an extra convenience, the zippered bottom hem means these athletic pants aren't getting caught up on your shoes when it's game time.Pair with the DETERMINATION JACKET or DETERMINATION PULLOVER for a complete set. Manufacturer direct from a trusted supplier.